TWO drivers escaped injury after a car accident at the Stadium Drive roundabout over the weekend. About 6.20pm on Saturday, one vehicle was stopped at the roundabout when another came up from behind. The driver of the rear vehicle failed to realise the vehicle in front was stationary, and so swerved to avoid a collision. The driver clipped the back of the stopped car before going through a cyclone mesh fence. 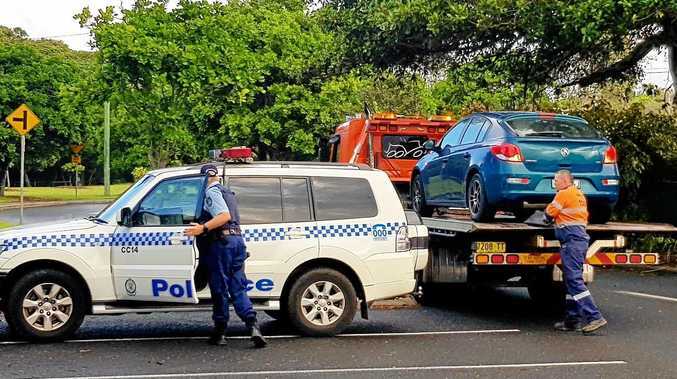 A COFFS Harbour man will face court next week after an incident on Saturday afternoon. About 4.30pm on Saturday, police charged the man, 43, with domestic-related assault charges and malicious damage. He will appear in Coffs Harbour Local Court on Tuesday. POLICE stopped a 43-year-old man on Bray Street for a speeding offence about 7.50am on Saturday. They conducted a roadside breath test, after which they found the man was also driving with a mid-range PCA.